No one has ever delivered so little according to what he promised, than Man. No one has ever delivered so much according to what he promised, than God. We promised that we would love the Lord. O did we ever fall short! God promised to love us forever in his Son. O did he ever succeed! “Keep your life free from the love of money, and be content with what you have, for he has said, ‘I will never leave you nor forsake you.” So we can confidently say, ‘The Lord is my helper; I will not fear; what can man do to me.” Hebrews 13:5-6. After teaching these great truths for our hearts, we’ll make these three applications. Jesus forgives promise-breakers, even well-intentioned ones. Since “God is With Us” – then there is grace for honesty with ourselves and with others. Believe that since Jesus will never leave you, then the grace to persevere and keep your word is always there for you. May the promises of the Lord be yours! 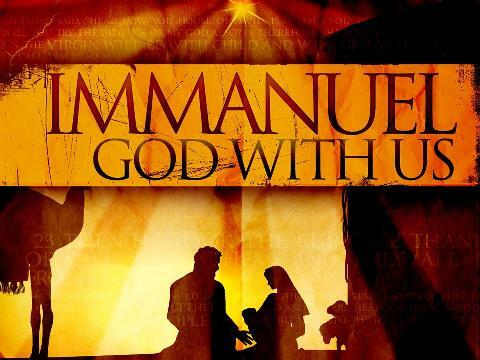 This entry was posted in Uncategorized and tagged Christmas Promise, Immanuel - God with Us by ivanjamestruman. Bookmark the permalink.